The author of Rights of Man and Common Sense argues for belief in God without religion.My own mind is my own church. 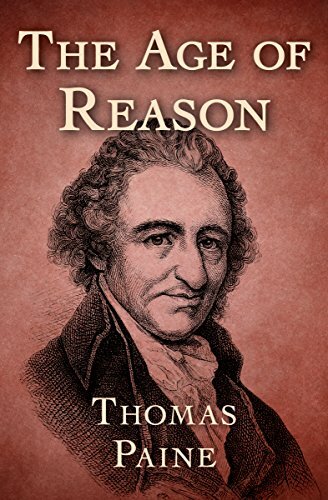 In The Age of Reason, political activist and Founding Father Thomas Paine makes a powerful case for a rational approach to theology. In keeping with the intellectual tradition of British Deism, Paine rejects the notion of divine revelation, saying “it is revelation to the first person only, and hearsay to every other.” He proceeds with a detailed analysis of the Bible’s inconsistencies and historical inaccuracies to conclude that it cannot be a divinely inspired text. Arguing against all forms of organized religion, he declares nature itself to be the only true testament to the existence of a divine creator. Originally published in three parts, in 1794, 1795, and 1807, The Age of Reason was a major influence on the freethinker movement in the United States. In Britain, however, it was declared seditious and led to the arrest of those who dared to print and distribute it. This ebook has been professionally proofread to ensure accuracy and readability on all devices.